Sketchbooks lost and found FTW. We've been affected ourselves, and now we are doing something about it. 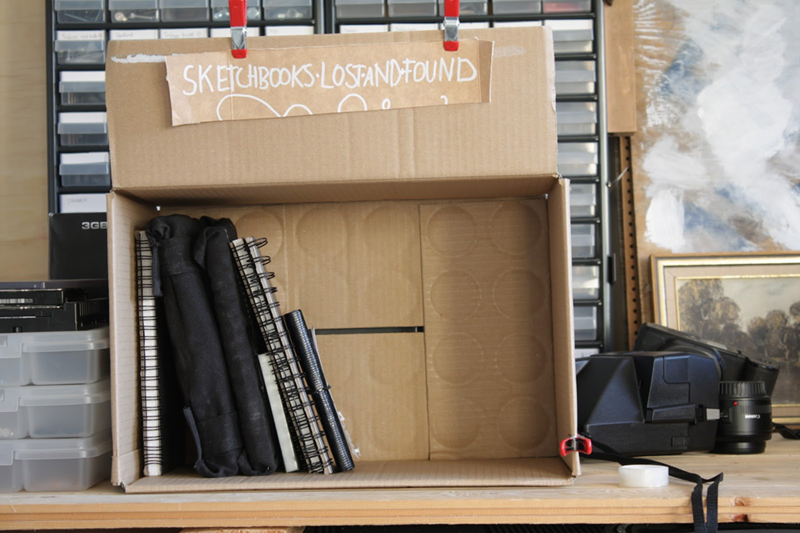 No more years of mourning your lost sketchbook!. When you loose a sketchbook or a notebook, all your good ideas and beautiful sketches are now somewhere else and you usually don't even know where. Therefore, when you start using a new sketchbook, notebook or whatever you may call it, step one is always to write name and contact information where it can be found by someone finding the book. This way you at least have a bit more of a chance of getting it back if it goes missing. For more tips and things to keep in mind go to our tips page. Lost notebook. Return sketchbook. Regain sketchbook. See example/mockup in the picture below. ( Google translate work OK if you are in a hurry, right?) See the example/mockup in the picture below.